This image captures the typical Tampa city street scene of the 1950s. 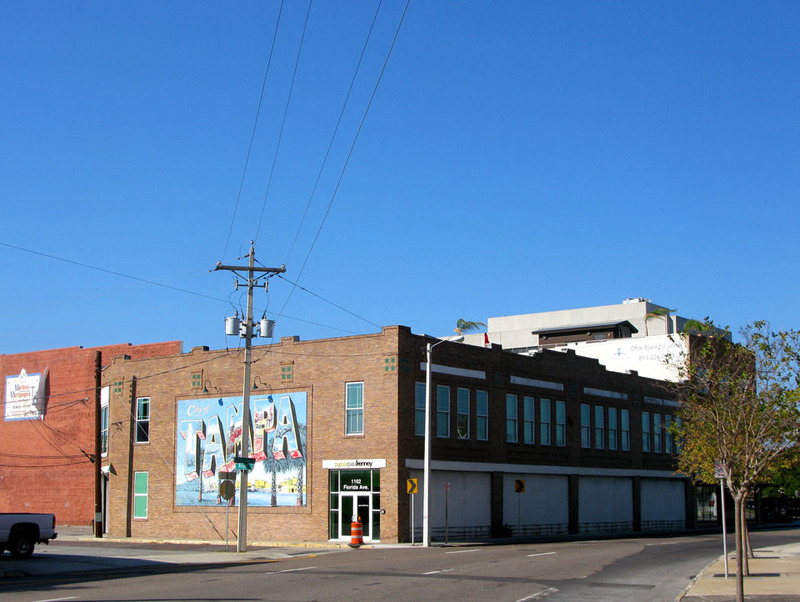 This view looks north on Florida Avenue at Harrison Street. 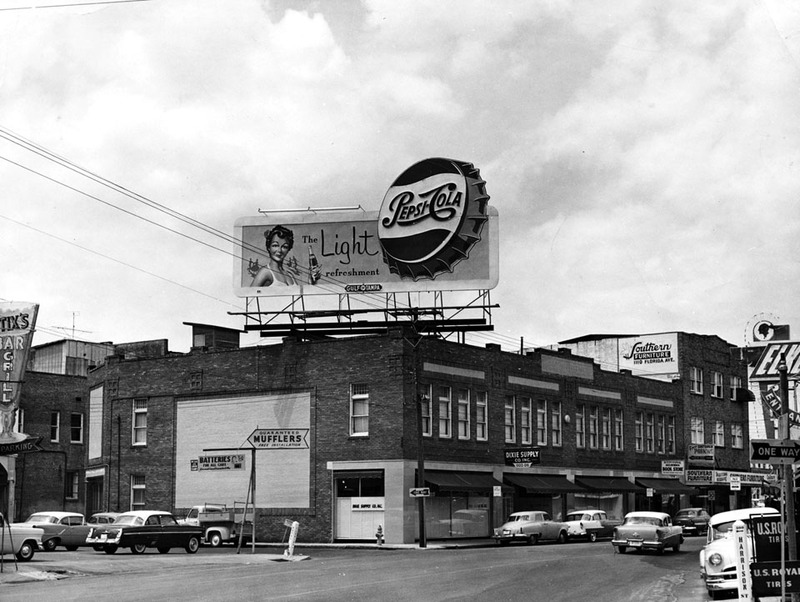 These nearly 20-foot tall neon Pepsi-Cola bottle caps were something never seen before in Tampa. Created by Cinchett Neon Signs, the flashy animated signs were modeled after Broadway-style signage seen at Times Square. Many Tampa citizens were amazed at the sight of these neon wonders. Holy cow Bryan, this is fantastic. A PERFECT fit! I remember this billboard. Back then, how long were billboards up for before they got replaced? Pictured here too is Southern Furniture owned by the Haubenstock Family, predecessor to the Tampa Ethan Allen stores. Goody Goody Restaurant was across the street where my grandfather, Saul, my dad, Alfred, and my uncle, Howard, had lunch practically every day. Great memories visiting the store with my siblings and cousins, playing with the manual adding machine, and riding up and down in the old cargo elevator. Say what you will, but I’ll take that mural of Tampa any day!